ICAR Foundation offers to Romanian former political prisoners and to vulnerable refugees and asylum seekers, as well as their close family members, a range of medical services that include: general medicine, psychiatry, cardiology, urology, physiotherapy and kinetotherapy. The services are free of charge and are offered by trained and experienced professionals. Beneficiaries belonging to the above-mentioned categories are identified and referred to ICAR’s medical rehabilitation centre in Bucharest by ICAR’s psycho-social staff or by other relevant institutions and NGOs. Appointments can be made at tel. 0040 21 321 22 21. The medical services that ICAR provides also include medical examinations and certificates (somatic, psychiatric and psychological reports) documenting physical and psychological consequences of trauma (i.e. torture and other cruel, inhuman or degrading treatment or punishment). Examinations are scheduled / reports are issued upon request of clients’ lawyers, other NGOs or the Court. Most of the reports ICAR issues are used as supporting documents in national courts to the asylum seekers’ claims during the judicial phase of the asylum procedure. ICAR also provided psychiatric and psychological reports for use in international/ European courts (i.e. in 2009 ICAR’s 67 psychiatric reports and 73 psychological reports were used by the “21 December 1989” Association – association of Romanian victims of the December 1989 revolution – in their case against the Romanian state at the European Court of Human Rights). According to time availability, ICAR can provide medical evaluation and certification (somatic, psychiatric and psychological reports) to other interested parties. For more information and appointments: tel. 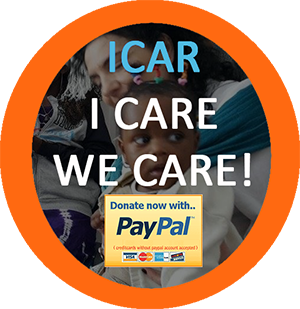 0040 21 321 22 21, e-mail icar@icarfoundation.ro.